A couple years ago I went Venice to attend the carnival! It was magical- walking through the narrow streets of Venice, surrendered by masks and the instant feeling of liberty took me over. “Lua Fowles is an aspiring writer from Istanbul Turkey, currently working on her first novel, ‘Closed Eyes, Change of Heart’… On her blog, Bowl of Oranges, she’s talking about the difficult but joyous journey of becoming a writer. She’ll be on her way to the University of Kent to get an MA degree on Creative Writing this September. Thank you Agatha, I’m glad you enjoyed it 🙂 And thank you Mercedes for this feature- it was so much fun! Beautiful, Lua, the mask and your words about it. I love your story here, and how in touch with your muse you are. Ooh, love the mask. 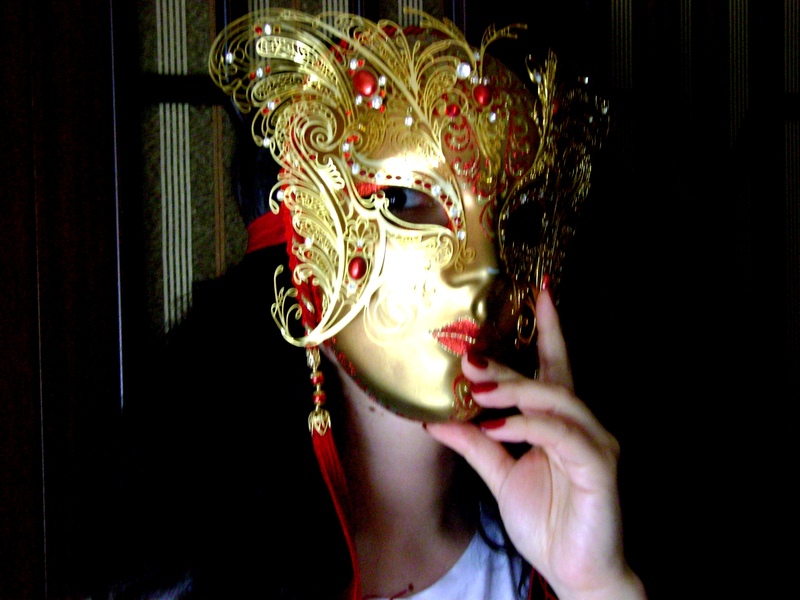 The way you wove masks into who you are is very fetching, too! Wonderful writing Lua. And historically a huge connection between Istanbul and Venice. Lovely piece: congrats to you and to Mercedes for coming up with the idea. That is an absolutely beautiful mask. Your post defintely got me thinking about all the different hats I wear as a writer. Thanks for sharing. So beautiful,Lua! 🙂 I love the story. Really beautiful words you have there! …And I think, the mysteriousness of it all makes readers very curious. A delight to read, Lua. I adore Venetian masks, too. Going to such a carnival sounds amazing! Lovely piece of writing and of course I love the mask. Venetian Masks, ahh. Lua knows I love them too. Enough to make my own. I should take time to write something beautiful about them too, but gee I’ve just started a new novel and you know how it is. The characters sort of drag you in and insist you write it down.